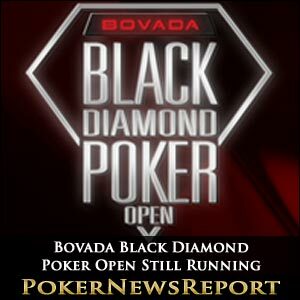 Time is running out for players hoping to become the very first winner of the Bovada Black Diamond Poker Open Championship Series main event as the tournament comes to a conclusion on Sunday. After eight weeks of poker tournaments – from Texas Hold’em to Seven-Card Stud and Shootouts to Knockouts – the 52-event series reaches its climax at 16:00 EST (Eastern Time Zone) this weekend, when competitors will be playing to be crowned the inaugural main event champion. Of course, there are also great prizes being offered for this $424+$25 buy-in tournament, with the Black Diamond Poker Open winner pocketing no less than $50,000 – and most likely more – as well as an engraved Championship Watch valued at $5,000 from the $250,000 guaranteed prize pool. If truth be told, the main event is not actually the final tournament in the festival, as the $150+$12 buy-in Second Chance begins at 19:00 ET on Sunday to bring the series to a close. 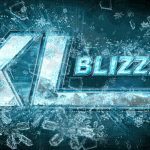 The guaranteed prize pool for this event is $25,000. But don’t despair if you haven’t already booked your seat in the Championship main event – there is still time, even if you haven’t got 450 bucks handy as Bovada will be staging their final Super Saturday Satellite Day this weekend, when players can book their seats at a fraction of the price of the main event buy-in. 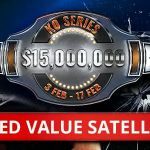 If you fancy a pop at the Black Diamond Poker Open main event title – as well as the cash and watch, of course – then check out the poker room’s satellite qualifiers by locating the ‘Special’ tab within the ‘Schedule Tournaments’ lobby. Bovada customers also still have six more events available – with guaranteed prize pools ranging from $5,000 to $15,000 – to take part in before the weekend arrives, so it’s not all about the main event just yet. Today will see a $50+$5 buy-in Texas Hold’em Rebuy event that guarantees $15,000 begin at 20:00 ET, while a $100+$9 buy-in Pot-Limit Omaha Six-Max Turbo tournament is offering a guaranteed $5,000 in prizes when it kicks off at 22:00 ET. There are another two events tomorrow, too, with a $69+$6 buy-in Fixed-Limit Omaha Hi/Lo tournament starting at 20:00 ET which offers a $5,000 prize pool, while, two hours later, a $100+$9 buy-in Texas Hold’em Six-Max Turbo is guaranteeing a prize pool of at least $10,000. 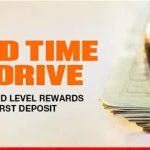 Finally, on Friday, Bovada will stage a $100+$9 buy-in Fixed-Limit Texas Hold’em event at 20:00 ET that assures entrants of a $5,000 prize pool, as well as a $75+$7 buy-in Texas Hold’em Knockout Turbo tournament at 22:00 ET that guarantees $10,000 in prizes. 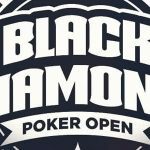 As mentioned before, players should check out the Black Diamond Poker Open schedule for any additional information on events.